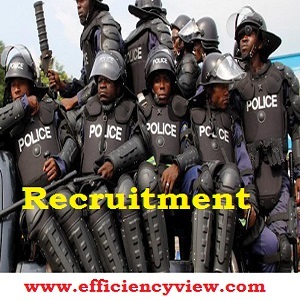 According to the latest 2019 Police Recruitment Update, Police Service Commission (PSC) has said that 22,878 applications were received five days after it opened its portal for the recruitment of 10,000 Constables on November 30, 2018. As stated by Mr. Ikechukwu Ani, PSC Head, Press and Public Relations, yesterday in Abuja, said that, “online applications hit this figure as at 12.30 pm today, Tuesday, December 4, 2018. The breakdown reads; Out of the 21,878 applications already received, 20,217 applicants are males while 1,661 are females. Niger state has the highest number of applicants with 2,276 applications followed by Katsina state with 1,677, Kano state third with I, 577 and Bauchi state, 1,543. Bayelsa state has the lowest application of just 55, Ebonyi state 88, Anambra state, 107, Lagos state 112 and Abia state, 130 as well as Imo state having 133 applicants, Delta state, 150 and Enugu state167. Have you applied? Or you wish to for NPF Recruitment see below how to apply and portal for registration. Ensure that you print out the information that is sent automatically to your Email and do not forget to copy and save your “Registration Number” for future correspondences. The “Number” is case sensitive please. Make sure you Fill and “Submit” the Online Form. (Review the information before final submission). Ensure you scan the following documents.